Note the 3GPP and LTE logos are (C) ETSI and the 3GPP and usage is reserved. Reproduction here is for illustration only. Please refer to (C) holders for information and permissions. It was 3GPP release 8 when LTE was introduced for the very first time. All the releases following only enhanced the technology. Relay Nodes: In order to decrease coverage loop holes, Relay nodes are one of the features proposed in release 10. The relay nodes or low power enbs extending the coverage of main eNB in low coverage environment. The relay nodes are connected to Donor eNB (DeNB) through Un interface. Network based Positioning: In release 11, support for uplink positioning is added by utilizing Sounding reference signals for time difference measurements taken by many eNBs. Carrier Aggregation enhancements: The goal in release 13 is to support carrier aggregation of upto 32 CC (component carriers) where as in release 10, the carrier aggregation was introduced with support of only upto 5 CC. enhancements for Machine-Type communication (MTC): Continuing from release 12, there are further enhancements in MTC, a new low complexity UE category is being defined to provide support for reduced bandwidth, power and support long battery life. Release 14 will mark the start of 5G work in 3GPP. In addition to the continued LTE evolution, a new radio access technology will be standardized, and these two technologies together will form 5G radio access. In this blog post, I will shed some light on a number of the key areas – low latency communication, spectrum flexibility, machine type communication, multi-antenna and multi-site transmission techniques, and ultra-lean design – and how they can be part of the upcoming 5G work in 3GPP. 5G will consist of LTE evolution together with a new radio-access technology, which we call “NX” in the following. LTE evolution will focus on backwards-compatible enhancements in existing spectrum up to ~6 GHz, while NX will focus on new spectrum, i.e. spectrum where LTE is not deployed. Although large amounts of contiguous spectrum are less cumbersome to find at higher frequencies, lower frequencies are important for wide-area coverage and the first NX deployments may very well target moderately high frequencies. NX will therefore be able to operate from below 1 GHz up to close to 100 GHz. 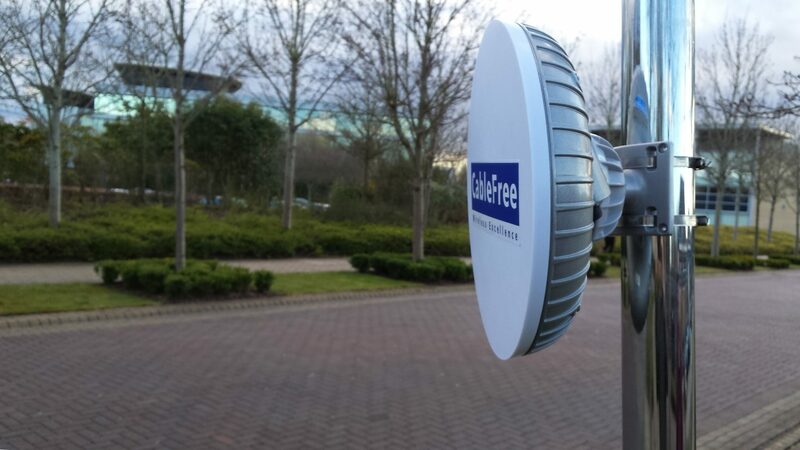 For More Information on CableFree products and services, please Contact Us and our team will be delighted to advise on a precise solution to match your exact requirements.